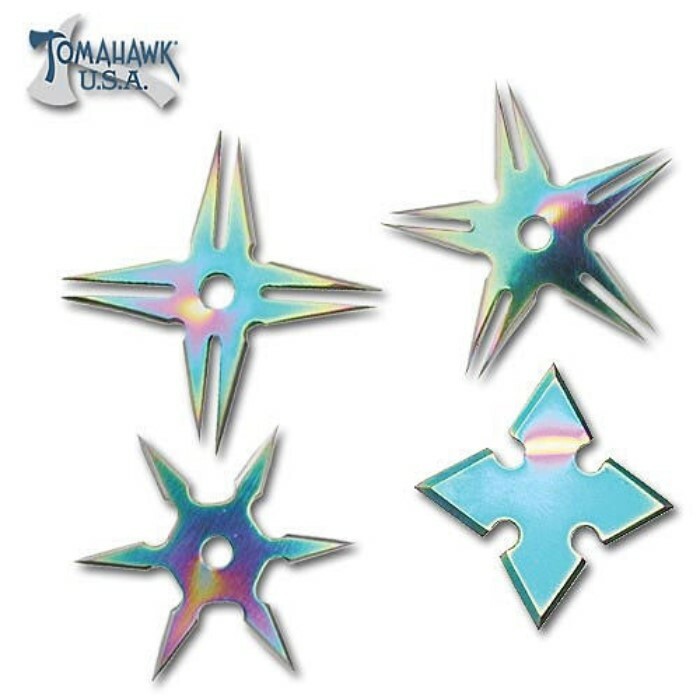 4 Piece Rainbow Throwing Star Set | BUDK.com - Knives & Swords At The Lowest Prices! This throwing set offers four assorted throwing stars constructed from stainless steel with a rainbow finish. Each throwing star measures 2 1/2" in diameter. This set includes a nylon pouch for easy storage and carry. Tomahawk, XL1198.